Speak the universal language of Emoji! Speak the universal language of Emoji! 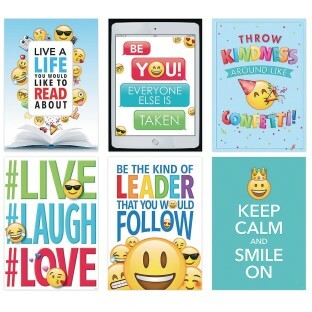 This set of 6 posters will convey a message that all understand. Each poster measures 13” x 19”. 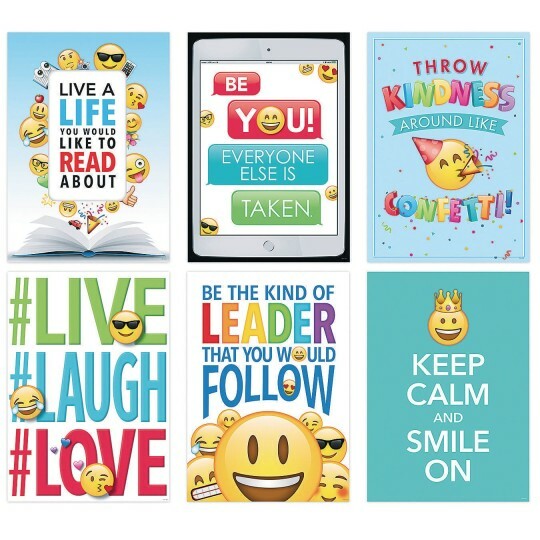 Posters have the following sayings: Live a Life You Would Like To Read About; Be You! Everyone else is taken; Throw kindness around; Live. Laugh. Love; Be the kind of leader; Keep calm and smile on.